I found a great site to help learn coding. It’s called sololearn (just google it and setup an account). It’s not perfect but has a code playground section where you can mess around writing closes and take quizzes, etc. Anyway, this one stumped me. 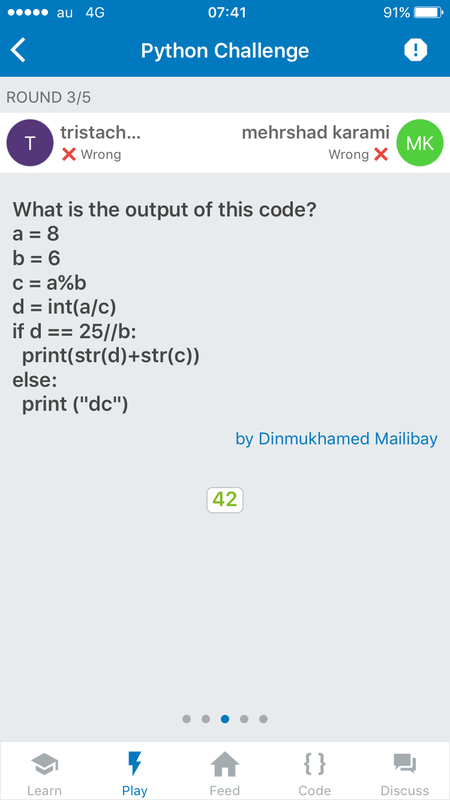 Can anyone help me figure out why the answer is 42?